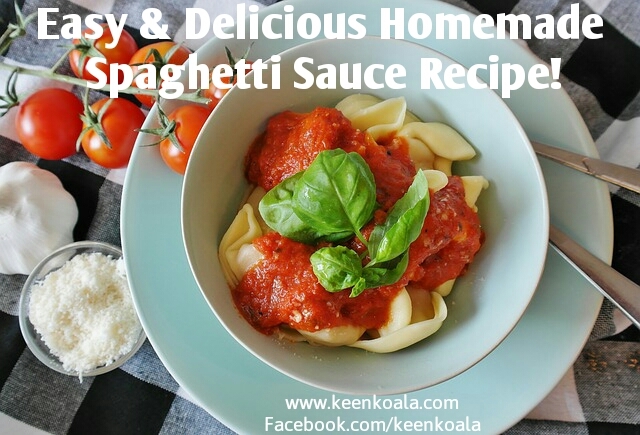 Keen Koala: The Easiest Homemade Freezer Spaghetti Sauce Recipe Ever! 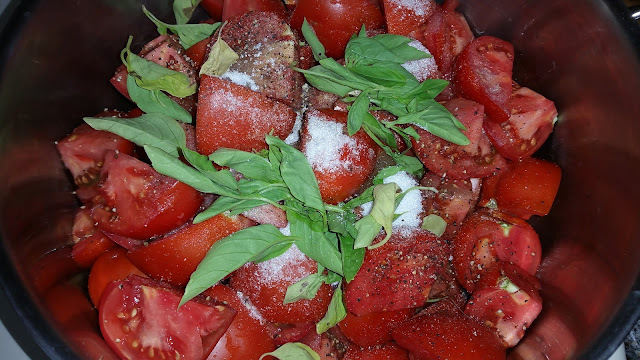 The Easiest Homemade Freezer Spaghetti Sauce Recipe Ever! 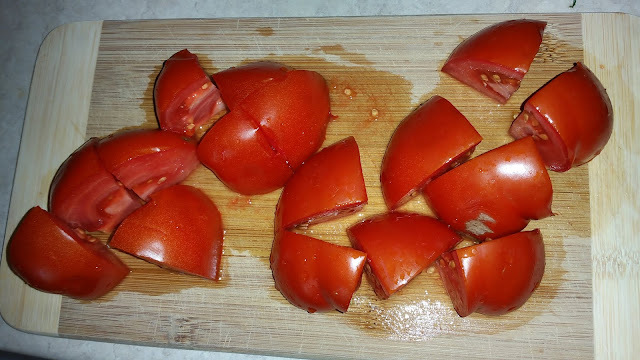 We had a ton of tomatoes from our garden this year. I had to figure out something to do with them before they went bad. 3. Simmer uncovered for an hour over medium-low heat. 4. 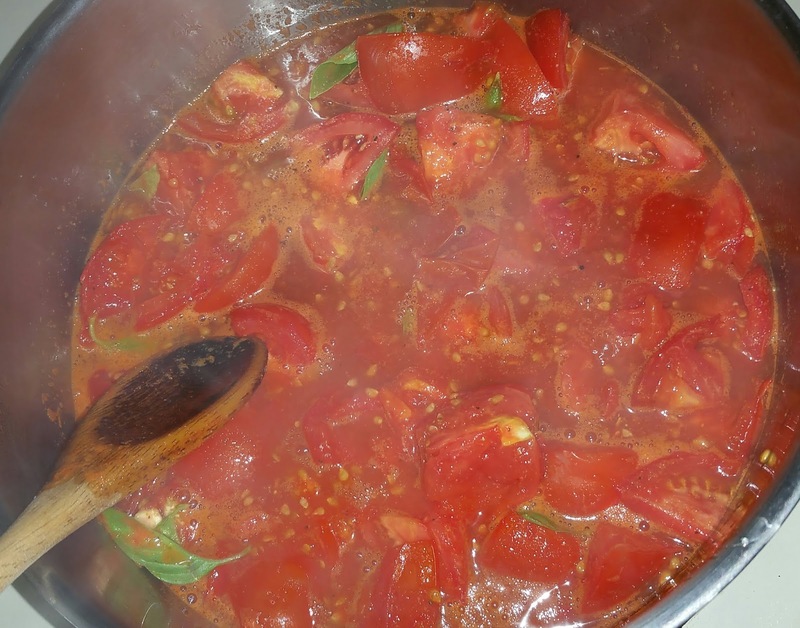 Once everything is tender, use an immersion blender to puree the sauce. This will chop up the tomato skins so fine that you won't even notice them in your sauce! 5. Continue cooking the sauce down for a couple more hours until you reach your desired consistency. 6. 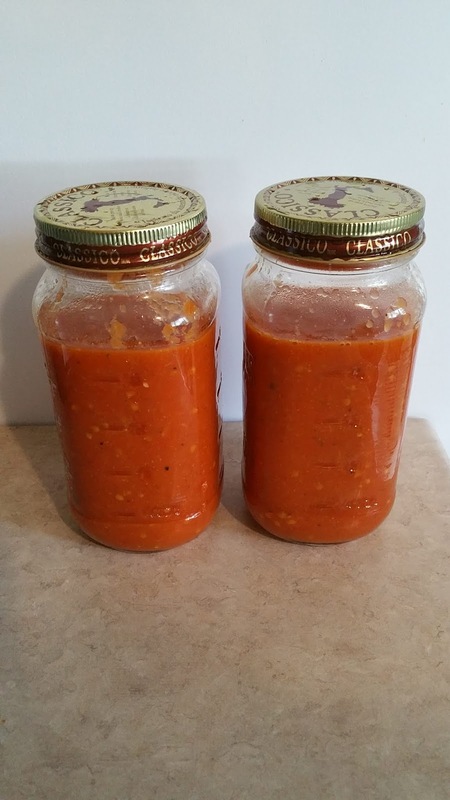 Pour into clean jars (only fill the jars 3/4 full as the sauce will expand as it freezes). 7. Cool the jarred sauces uncovered in the fridge until cold. Once cold, cover the sauces and freeze. 8. To use the sauce, thaw in fridge overnight. Pour into a saucepan and reheat. Add 1 tbsp parmesan cheese, 2 tbsp heavy cream, and 1 additional tsp of white sugar while reheating. 9. Serve over your favorite pasta or zucchini noodles. I hope you enjoyed this recipe. For more great recipes, LIKE us on Facebook HERE!